Do not miss out on Cozumel's famous Mayan Ruins! 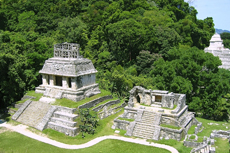 Learn about Mayan civilization, culture, folklore, and unsolved mysteries. Transportation was excellent to and from TULUM Ruins. Transportation was excellent to and from TULUM Ruins. Mayan culture, astronomy, and engineering is unbelievable. Long boat ride and long bus ride followed by a long hot walk. For to reach Mayan ruins you make a terrible ferry trip which everybody vomits.After that 1 hour by bus and you have 45 minutes left to see a few stones which is not worth to see at all.So I suggest you do not go to Mayan Ruins in Tulum. Intimate Mayan Ruins and Sightseeing Tour, actually. A visit to the San Gervasio ruins. I did the Mayan Ruins and it was astonishing. Can&apos;t even say enough about flying to Chichen Itza....amazing and worth every penny!! This was worth the 45 minute ferry ride and 90 minute bus ride. This was worth the 45 minute ferry ride and 90 minute bus ride. Great history. Our guide had a Masters in Archaeology, and we learned a lot. Definitely go with the tricycle drivers when you get there. On a scale of 1-5, I would give this excursion a rating of 10. Too much travel to get there. Too much travel to get there. Shuttle boat ride then greyhound bus ride. 2 hour each way transporting from ship to ruins. The ruins were great when there. Not enough time. Some tour guide great , others not. Chichen Itza Mayan ruins are amazing. Chichen Itza Mayan ruins are amazing. Its a 6 hours drive to the ruins. Snack Lunch (poor) on the bus. 30 minutes to see the ruins (not enough). No shopping time. Too long of a ride. Would not recommend. We did the San Gervasio Ruins, Beach sightseeing and Chocolate Factory Tour. We did the San Gervasio Ruins, Beach sightseeing and Chocolate Factory Tour. Very interesting, especially the chocolate tour. The island&apos;s Mayan ruins aren&apos;t worth the trip. The island&apos;s Mayan ruins aren&apos;t worth the trip. Should have gone to Tulum instead. The highlight of this cruise for us was seeing the ruins for ourselves and hearing the history and culture commentary from our guide. 6 hour commute. The only thing you will see is the inside of a shuttle bus, a ferry, the ruins for an hour, then back on the ship. The ruins were no comparison to Chichen Itza. The ruins were no comparison to Chichen Itza. It is not really worth the time and money. The beach stop was actually a nice beach. The bus was too small and very uncomfortable for a 2 hour ride. The bus was too small and very uncomfortable for a 2 hour ride. They didn&apos;t give us time to eat our lunch and we had to try to eat it on the bus. had I known it was closer from Costa Maya, I would have booked it from there. THIS excursion made the ENTIRE cruise bearable!